"We made this oath - whoever died first would send the other a sign." IFC has released an official trailer for the latest film from French filmmaker Olivier Assayas, titled Personal Shopper, which premiered at the Cannes Film Festival earlier this year. This sorta-horror film deals with a young women who is haunted by a ghost through text messages (seriously). She works as a "personal shopper" for a famous celebrity, picking up clothes all over Europe for her to wear. The cast includes Lars Eidinger, Sigrid Bouaziz, Anders Danielsen Lie, Ty Olwin, Hammou Graia, Nora Van Waldstatten, and Benjamin Biolay. This will likely be a very polarizing film, as it's not really the typical horror most expect, but does have a chilling side. Maureen, mid-20s, has a job she hates: seeing to the wardrobe of a media celebrity. She couldn’t find anything better to pay for her stay in Paris. And wait. Wait for a sign from the spirit of her twin brother, who died a few months earlier. Until then, her life will stay on hold. Personal Shopper is both written and directed by acclaimed French filmmaker Olivier Assayas, of the films Les destinées, Demonlover, Clean, Boarding Gate, Summer Hours, Carlos, Something in the Air and Clouds of Sils Maria previously. This first premiered at the Cannes Film Festival, and also played at the Toronto and Melbourne Film Festivals, with the NYFF next. 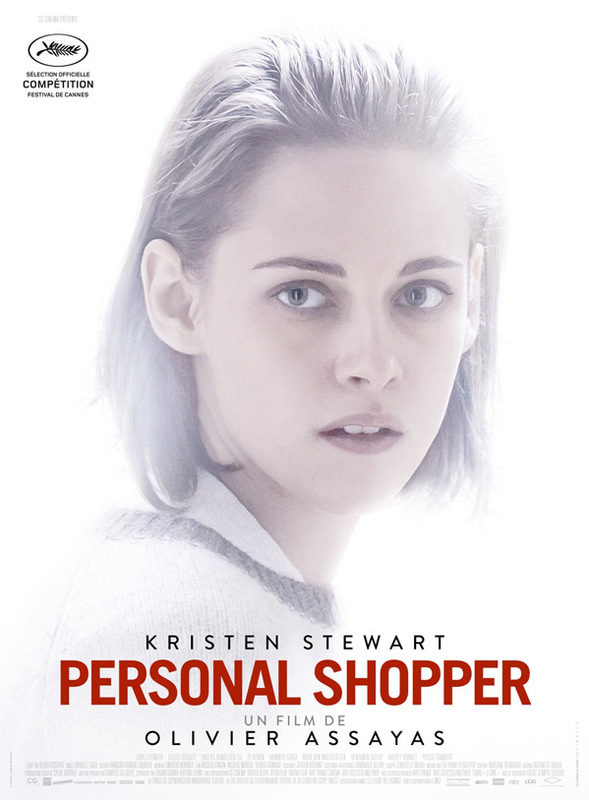 IFC Films will release Assayas' Personal Shopper in select theaters starting on March 10th. I got a chuckle out of the "dash Hitchcockian..." is that even something you should promote? A "dash"?!!! Same here. The day she'll stop doing her gothe I'm in. I don't know shiboleth. She's like a one note instrument emotionally speaking. She could play in a comedy and she will seldom crack a smile to the camera. If i read you well shiboleth, Kristen Stewart has a very limited range in acting. Is that what you said? ;D It's like a monkey playing a monkey.